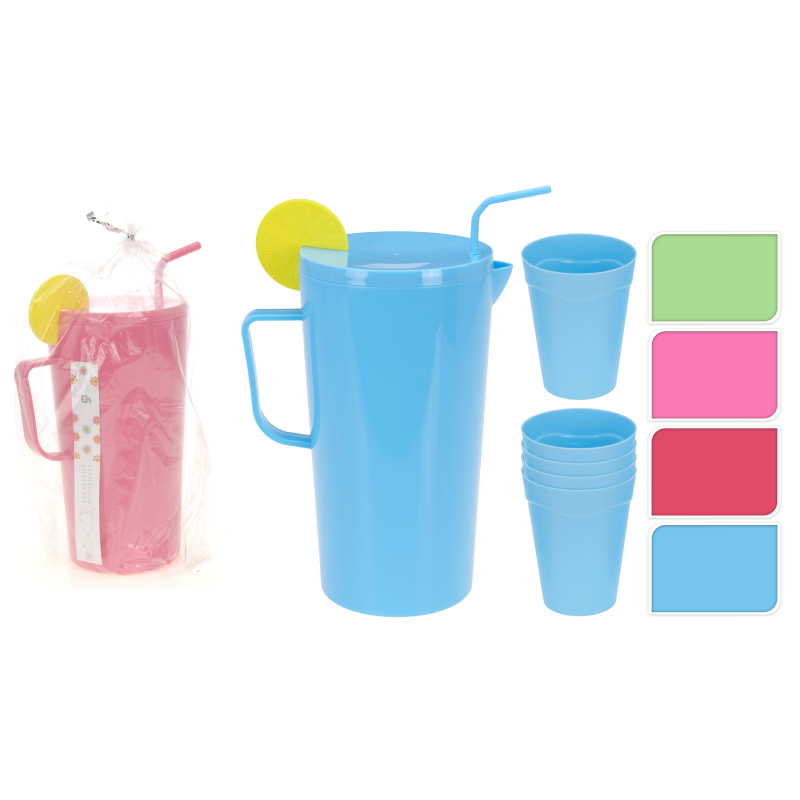 Simple and stylish 2 litre pitcher jug, great for entertaining and pouring juice/cocktails, or drinking from the straw! Perfect for indoor and outdoor BBQs, picnics, parties, celebrations and events. Includes four mugs.